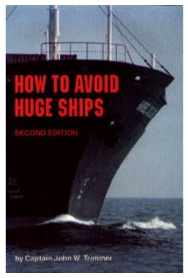 I know this is kind of old, but I just saw it today: How To Avoid Huge Ships (or, as I am calling it now, the best and most useful self-help book that has ever been written by man or beast). I’ve just read ALL the Amazon reviews and they are killing me. I’ve spent the past half hour sitting on my floor cracking up manically. The best. Okay, now that I’ve gotten that out of my system, I can go back to posting tiny things and treehouses. < Previous Sensing a theme?